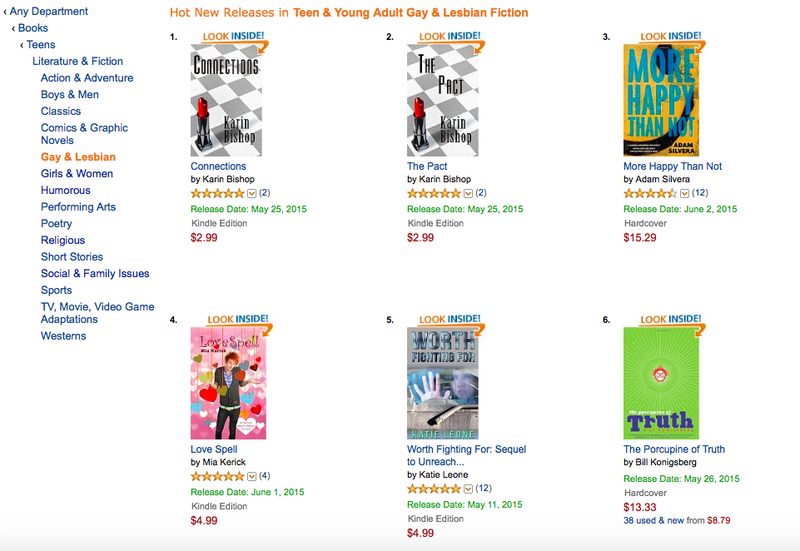 At the end of release day, Love Spell is at #4 on Hot New Releases in Teen & Young Adult Gay & Lesbian Fiction. I’m excited… but is it wrong that I want to move higher on this list? It isn’t about sales and money… it is about something else entirely. Maybe it is about proving to myself that I can do this, and do it well. So, I set a goal for #1, #2, or #3!! Fingers crossed. I set another goal for a different list. In Kindle, Teen and Young Adult Romance is in a category that is not isolated by orientation, and I am glad. All of the teen romance should be together. At bedtime, Love Spell is at #33. My goal is to hit the top 20 in this category. This might be hard to do. Very. But goals keep me on my toes… they keep me promoting and writing and thinking of what is going on NOW as well as what is coming NEXT. So, I will have my goals and my hopes… maybe they are really nothing more than dreams. But they move me forward. Thanks for reading Love Spell!! Thanks for helping to make my dreams come true.